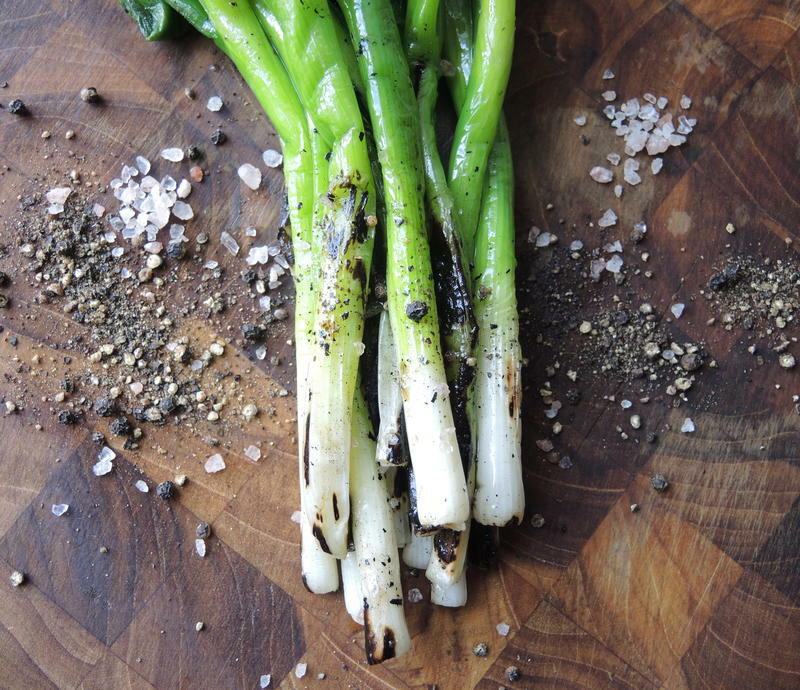 Often an under used vegetable as a side to dinner, the sweetness of scallions is accentuated by grilling. They make an excellent side to meats and fish. Cut off root ends off the scallions and cut out any wilted bruised parts. If the onions are larger then a pencil in diameter, you can blanch them by immersing them in boiling water by holding the green parts and dunking the white section in for 30-45 seconds. Pat the onions dry and rub with olive oil salt and pepper. Lightly grill the onions until they begin to caramelize, this will only take a few seconds.